There are many health problems that we may face in life but one of the more common is type II diabetes. This issue, sometimes referred to as adult onset diabetes, can cause many of the same problems as type I diabetes and it is an issue for millions of people worldwide. If you are somebody that suffers from diabetes, we have good news for you. If you have ever considered getting a tattoo, you may just find that it is the best idea once you see this article. Thanks to the researchers from MIT and Harvard, a color changing tattoo has been developed that can change colors as the blood sugar levels of the diabetic rise. This is something that can really make a difference in the life of a diabetic. The researchers did something brilliant in the fact that they used color changing “biosensors” that can react to the tissue cells in the human body. When there are variations in the fluid that surrounds the cells, known as the interstitial fluid, can cause the colors to change in the tattoo, alerting the person to a change in their glucose levels. 4 different biosensors are included in the research and they react to the biochemical information that is found in the interstitial fluid. The pH of the fluid changes between purple and pink and the glucose sensor changes between blue and brown. There is also a sodium and another pH sensor that is visible under florescent light. Many people who suffer from diabetes are going to be excited over this but don’t head down to the tattoo parlor just yet. This is still just in the research phase. “There are currently no plans to develop DermalAbyss as a product or to pursue clinical trials,” the website says. There is some hope, however, because these tattoos have been tested on pigskin and they worked! For now, you need to stick with the regular tattoo and prick your finger to check your blood sugar levels. This isn’t the first time that tattoos have been considered for monitoring our health. A thin electric mesh was once considered for stretching over the skin to monitor hydration and temperature. 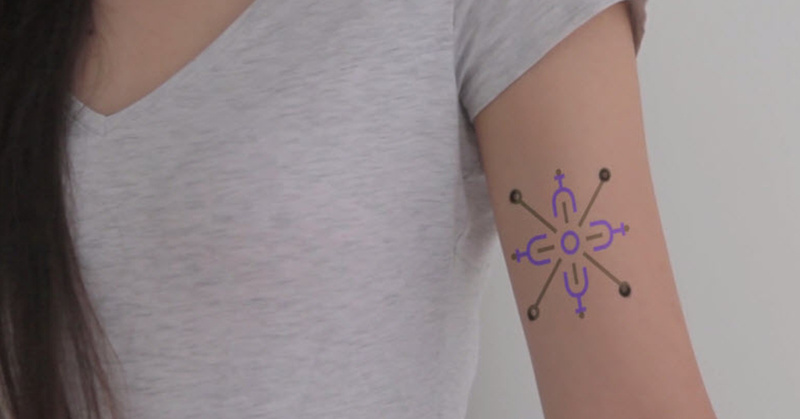 The media Lab at MIT has also created a number of tattoos that could do anything from turning up music to showing a person’s emotions. Researchers have also discovered that taking a hot bath can help to regulate both inflammation and blood sugar. It can also burn as many calories as walking for a half-hour. Getting a tattoo and taking a hot bath. Who knew that these things would be able to help those who suffer from diabetes?